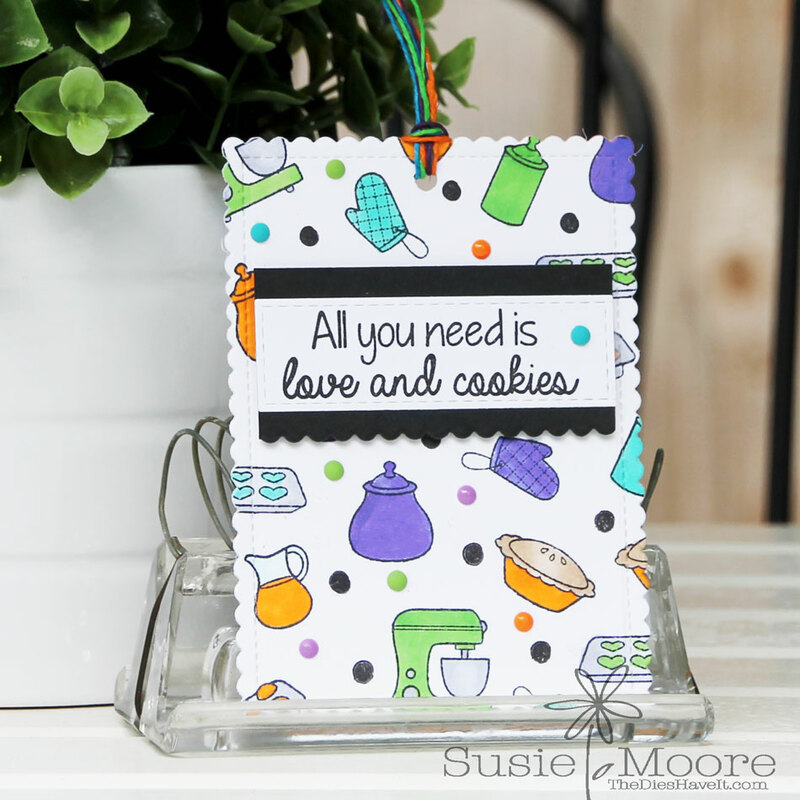 I used all the colors in the photo and almost all of the images in the Lovin' from the Oven stamp set to make my tag. I quickly colored in the little kitchen images and added the adorable sentiment. I also couldn't resist the enamel dots they sell! The hues are so pretty! Be sure to check out the challenge because there is still plenty of time to play along. Super cute Susie! 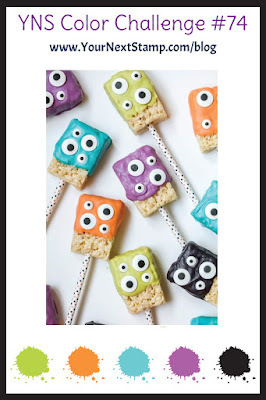 I really like that you took the Halloween colors and created a fun anytime card!